When I get there, I’ll go dancing through the air. 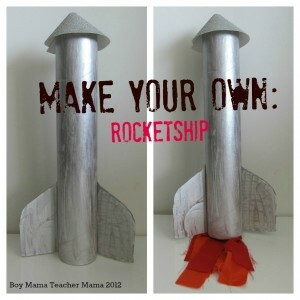 My boys continue to be fascinated with rocket ships. 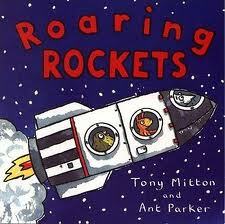 We have been reading rocket ship books and singing rocket ship songs (see above). We even got a the Lego space shuttle…. 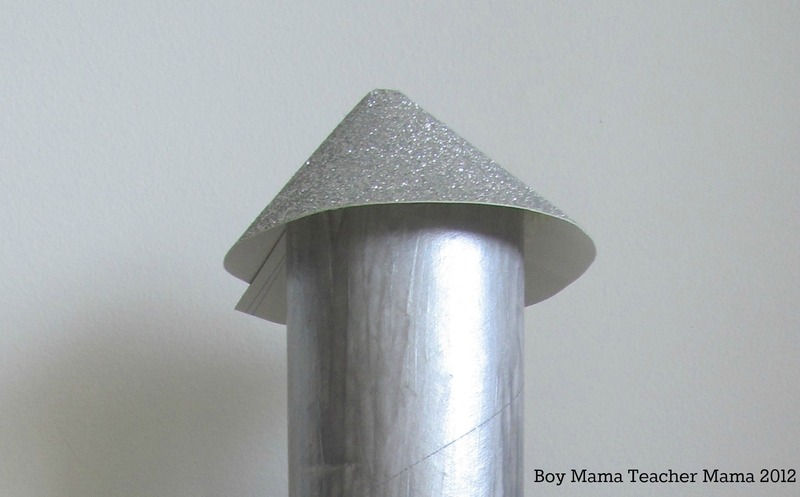 So, I decided it was time to make rockets with the boys. We have done this in the past, but they have all fallen apart or been crushed since. This time, I wanted our ships to be really durable and survive all that a 3 year old and 5 year old could dish out. So, we started with a mailing tube. We got our tube at Kmart, but you can get them at office supply stores and post offices as well. 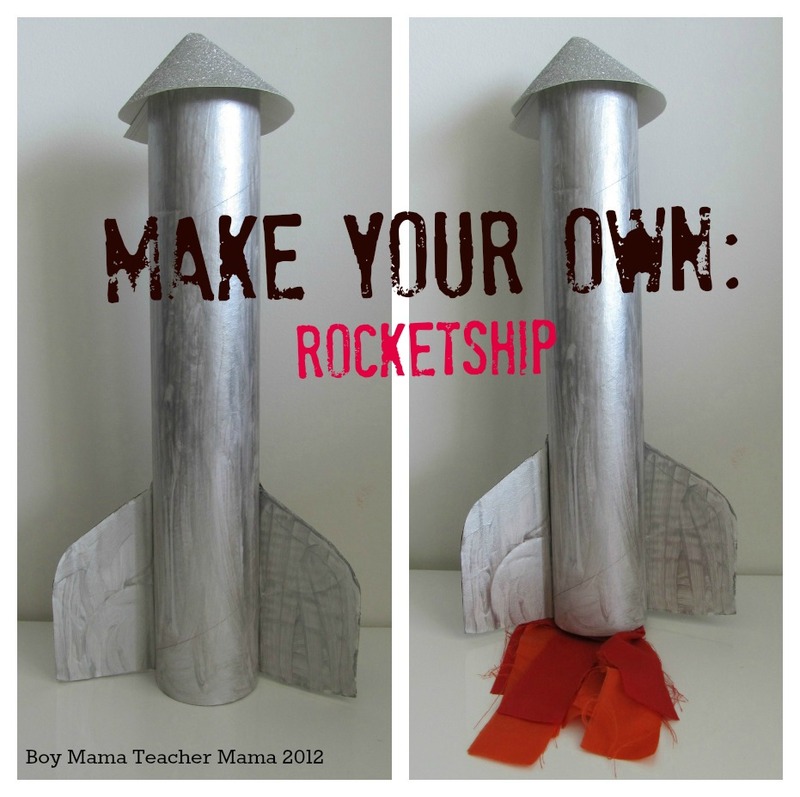 Here is how we made our rocket ships. 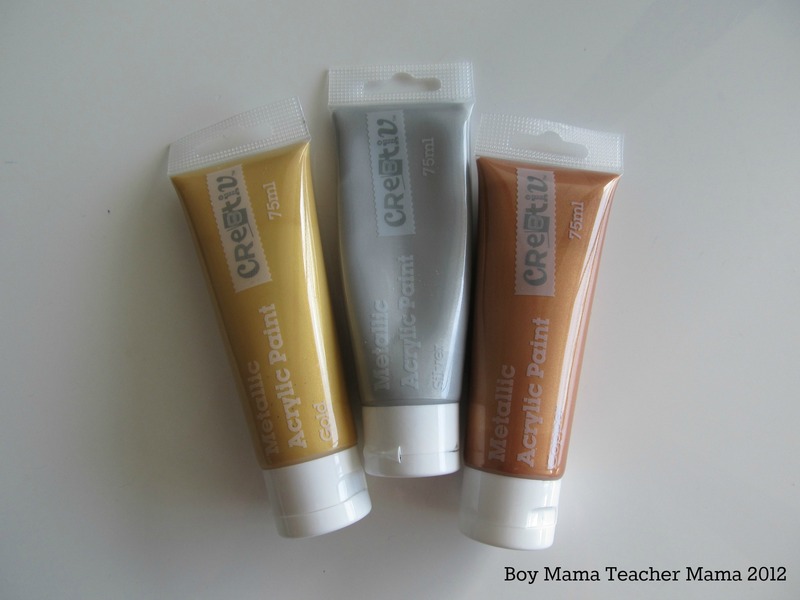 We found these great metallic paints in the art section of Kmart (in AU). They were perfect for this project! I cut the mailing tube in half (with a bread knife!) and had my boys paint them. 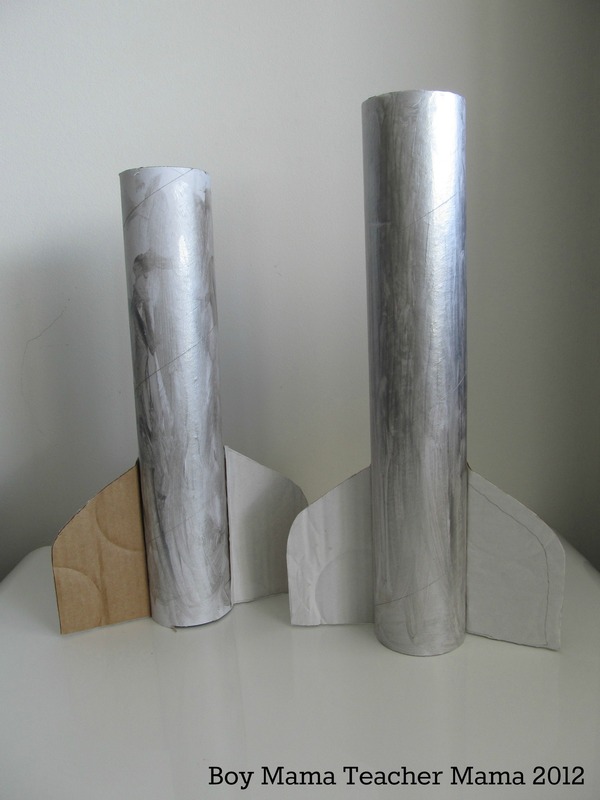 They chose the silver metallic paint for their rockets. 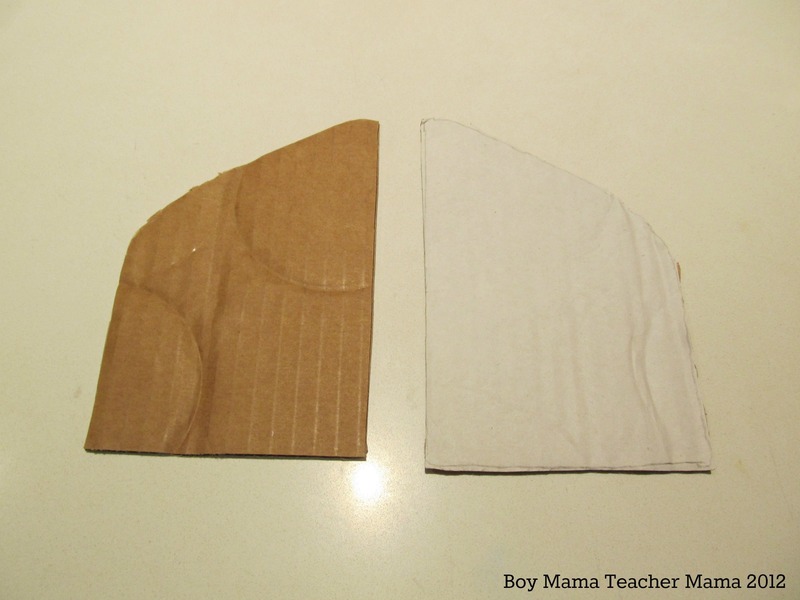 Meanwhile, I cut fins from a cardboard box and we attached them to the tubes using our hot glue gun (which then proceeded to explode…). Then the boys painted the fins. 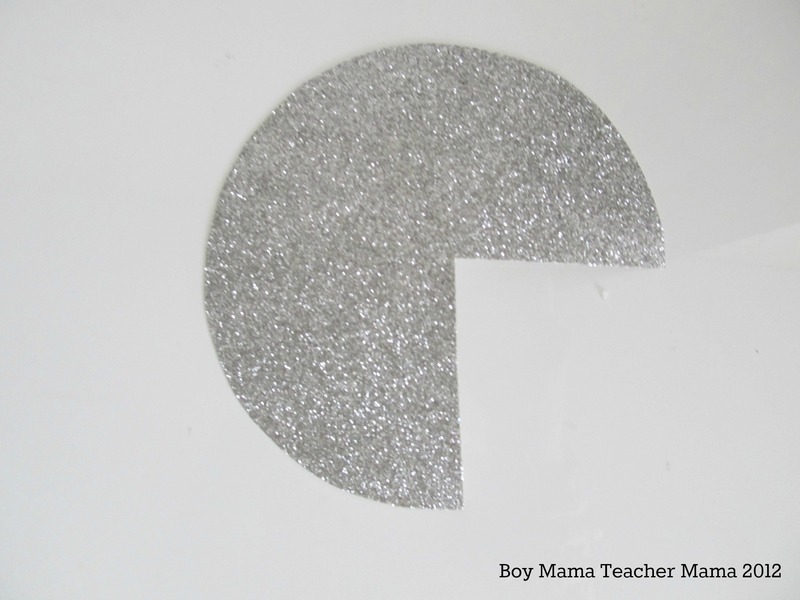 While at the craft store, we picked up some of this cool, glittery tag board. We cut a circle from the tagboard then cut out 1/4 of the circle and glued it together to create a cone shape for the top of the rocket. We then attached the cone to the rocket using the hot glue. Next was the flames that come out of the rocket. 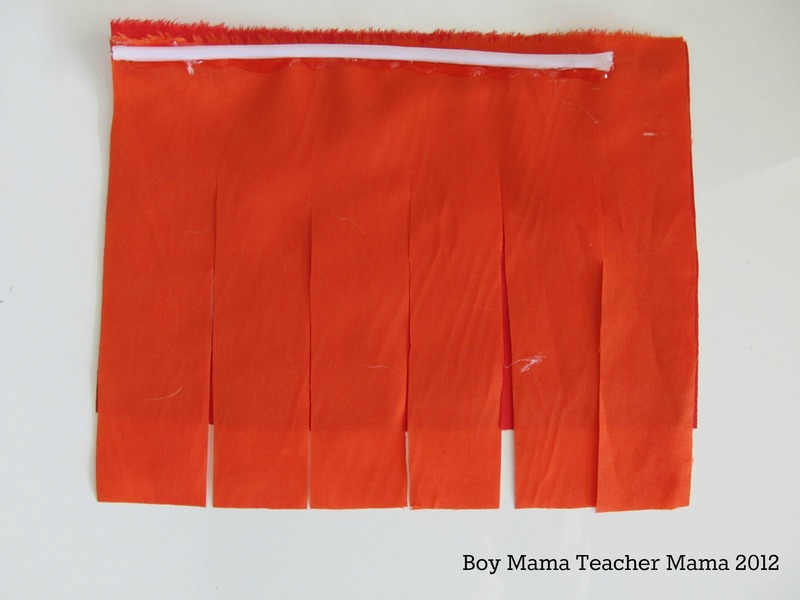 I cut two rectangles of fabric- one orange and one red. 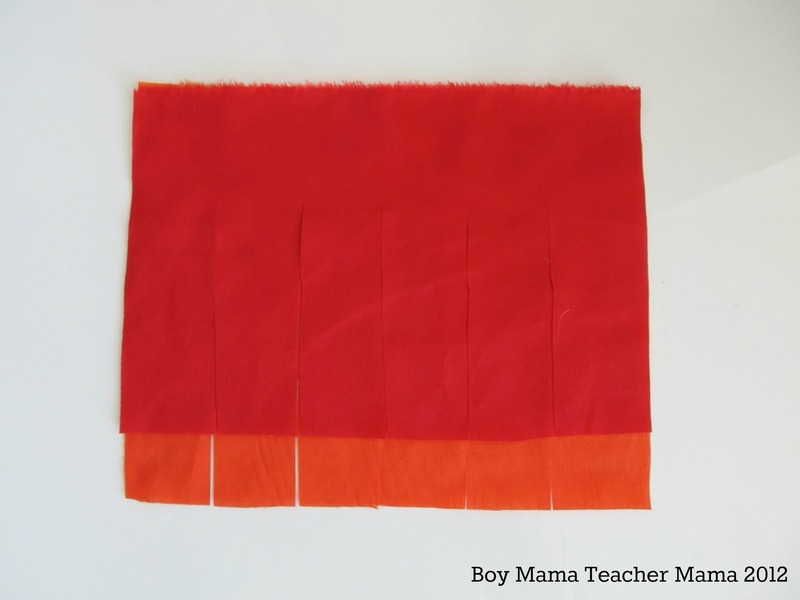 I glued the two pieces of fabric together at the top and then trimmed off about an inch or so of the red so the orange was visible. 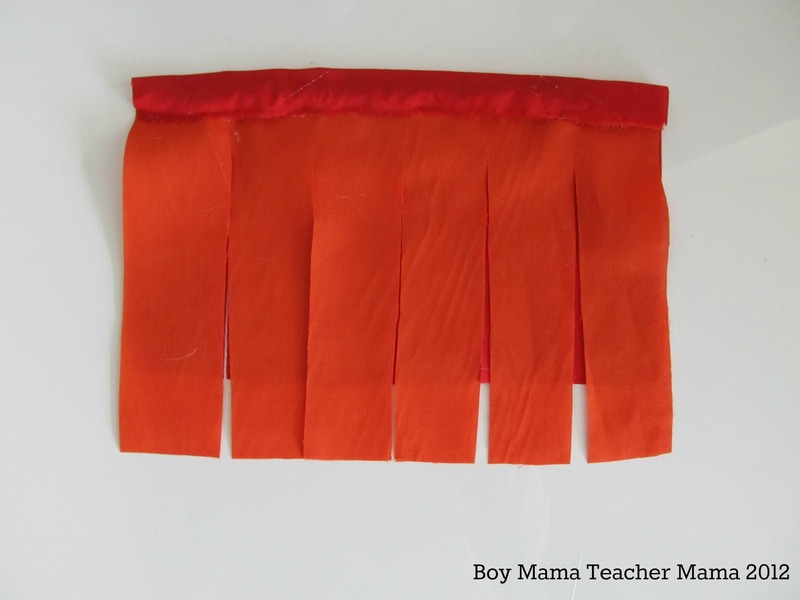 I then cut fat fringes in both pieces of fabric from the bottom up to about 3/4 of the way to the top. 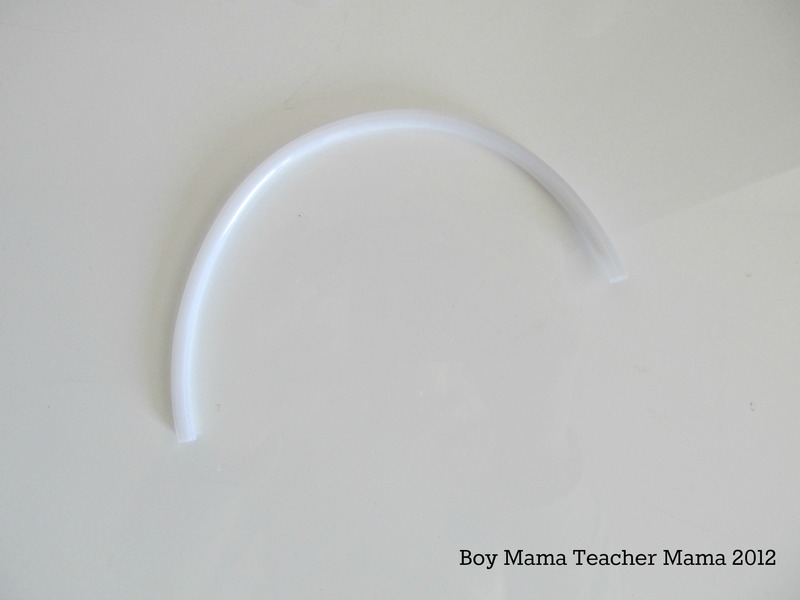 I cut a piece of plastic tubing the same diameter as the inside of the tube. I hot glued the tubing onto the top of the fabric. Then I folded the fabric down over the tube and glued it again. Next, I glued the tube closed in a circle as shown below. 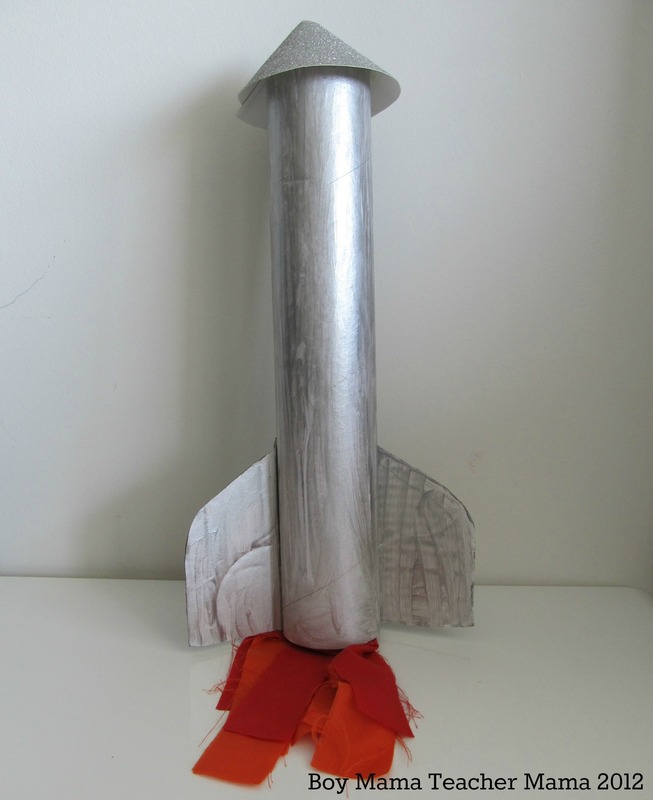 I then inserted the circular, tubed part of the flames inside the bottom of the rocket and secured it with hot glue. And voila! Our rockets were done. 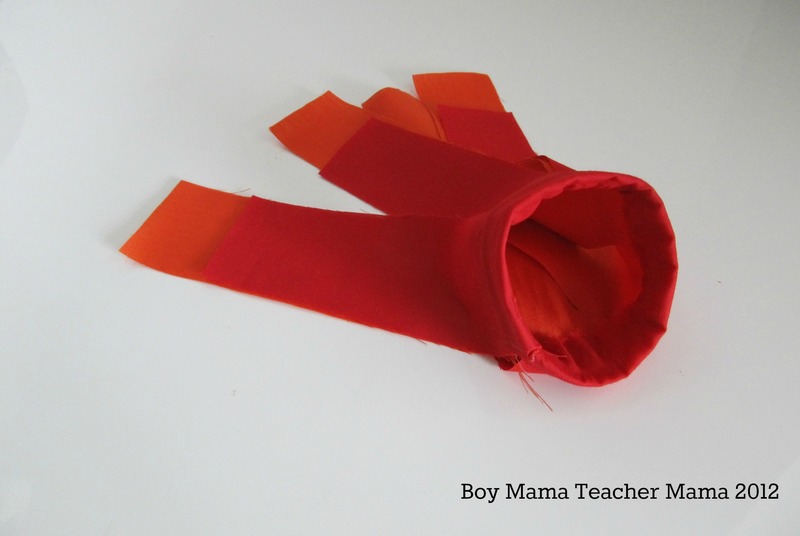 Now, before the rocket takes off, the flames are stuffed inside the rocket and when it blasts off, my boys pull the fabric out and go! 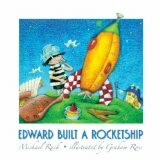 Edward wants to go to space, so he builds himself a rocket, packs up his lunch and his teddy bear “in case it got too rough,” says goodbye to his mom and takes off. 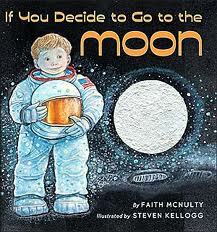 While in space, he has quite an adventure, but then returns safely to earth and his mother’s outstretched arms. 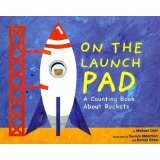 A simple, rhyming book that tells all about rockets, their adventures in space and their return to earth. Part of a fantastic series about vehicles. 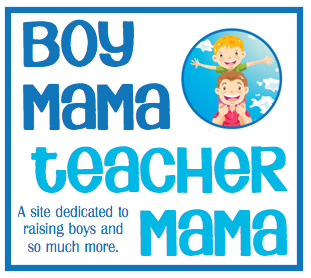 See our post, Book Mama: Vehicles for All Ages, for more about the series. 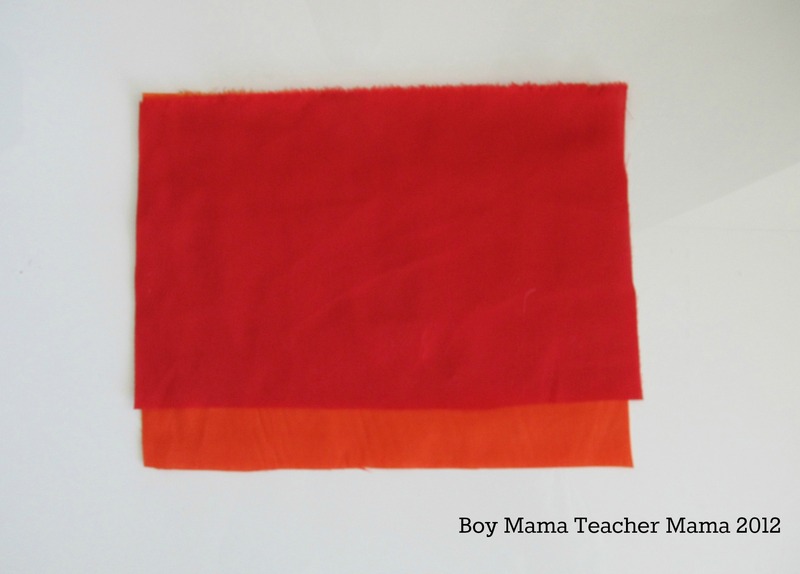 Boy Mama: 10. 9, 8…Blast Off! 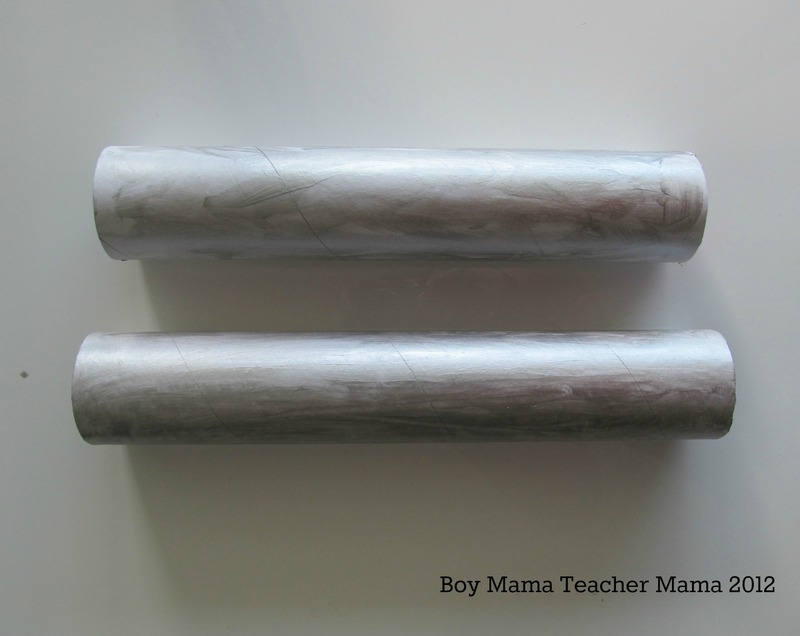 Boy Mama: Do you Didgeridoo? 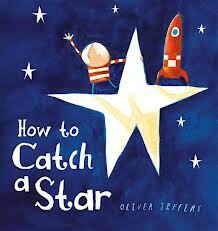 How to catch a star is awesome. There’s a beautiful line about how his rocket is out of petrol that’s just so matter of fact, I love it. Rockets are pretty hight on the awesome list at ours so thanks for sharing. What a cool idea! I love the flames coming out the bottom. Thanks for linking up on our We Made That Linky! Perfect timing! I’m making these for Benji’s birthday favors, only the tops are removable so I can put watercolors and coloring pages inside! We’ve recently blogged about The Sea of Tranquility by Mark Haddon – do you know it? As they like rockets, your boys will probably like this text – let us know what you think.